Course Website: Official Website - Visit Bear Mountain Resort's official website by clicking on the link provided. 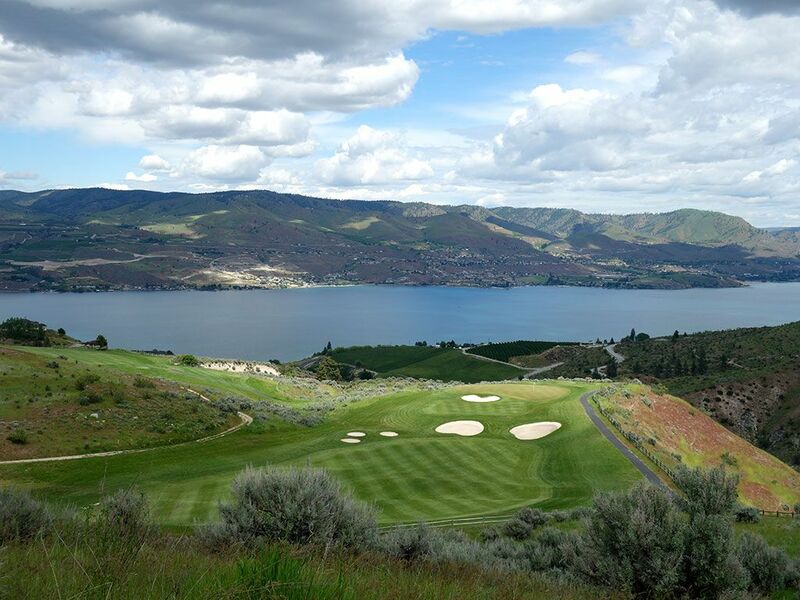 Accolades: Ranked 13th in Washington on Golf Course Gurus' Best in State rankings. What to Expect: On the notes I took during my round at Bear Mountain I wrote, "Home of the 10' flag." Why? 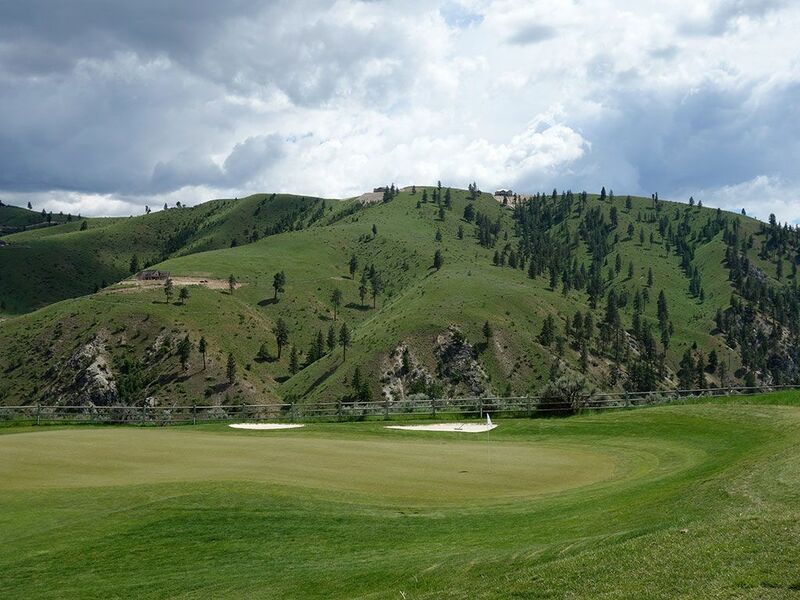 Because this mountainous course boasts so many elevation changes and raised greens that the extra tall flags make sure you can acquire your target on this dramatic layout. 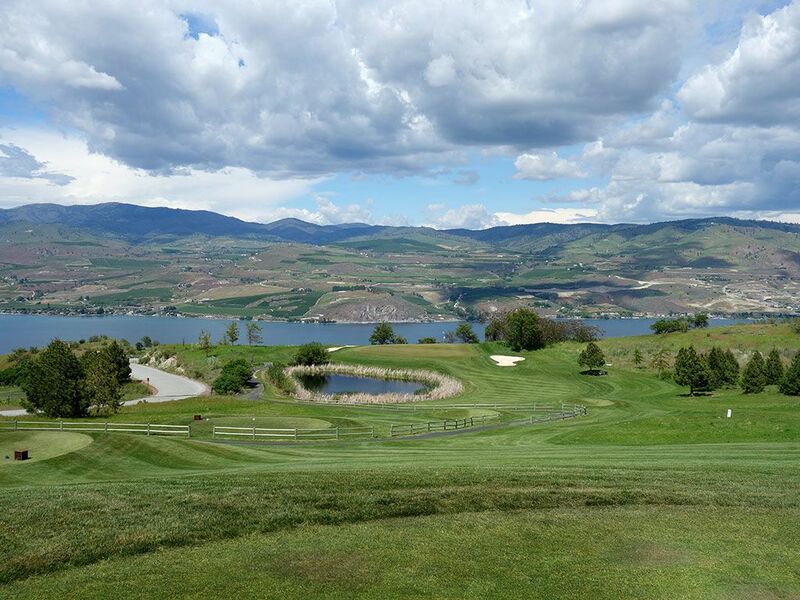 Set in Central Washington above beautiful Lake Chelan, Bear Mountain features the most stunning views of any course in the area and is memorable from start to finish. 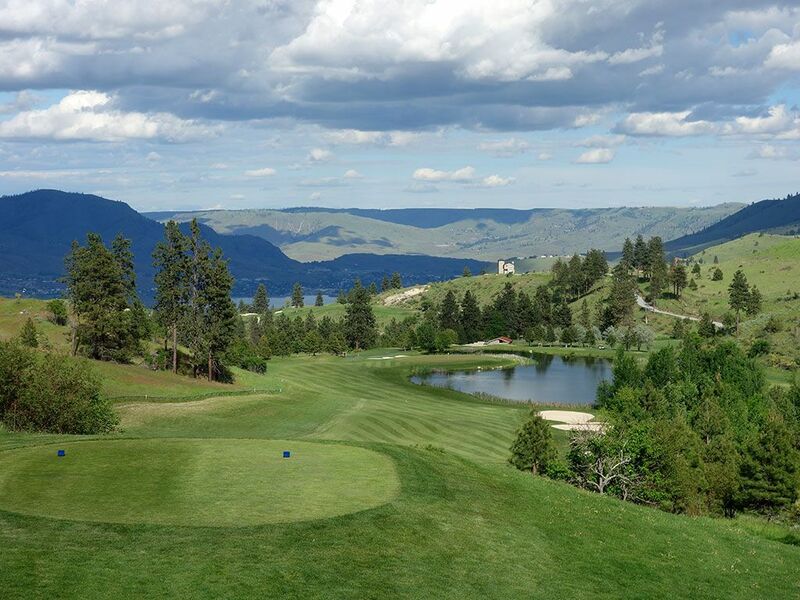 The severe elevation changes give you plenty of confidence while playing downhill on holes 1-7 and then smacks you with a serious reality check on the steep uphill front nine closing holes. The back nine features additional elevation changes but it is about now that you'll realize how many raised greens there are on the course. If you are a low ball hitter then you are in for a long day as about a dozen of the greens have raised fronts of some sort to contend with. 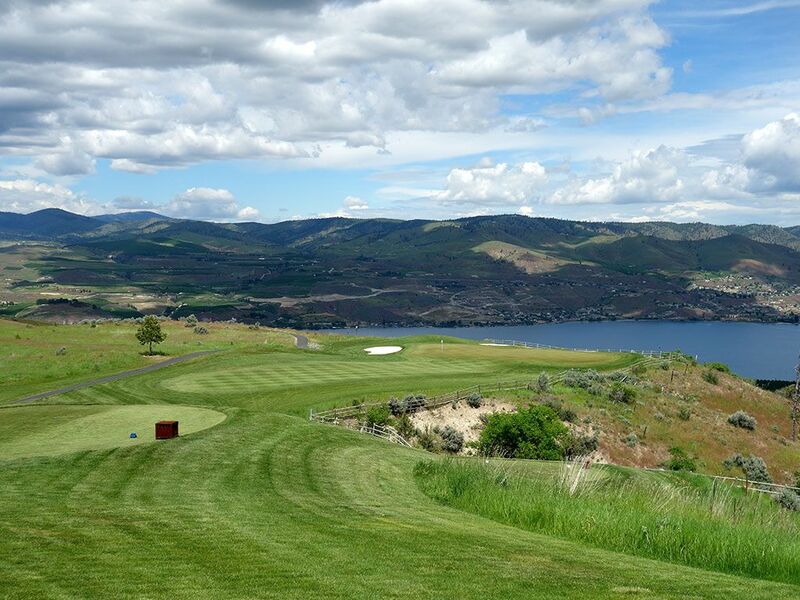 The variety of hole designs make Bear Mountain a unique offering to enjoy and with about 2200 yards of difference from the back tees to the front, the course makes an effort to accommodate all skill levels. 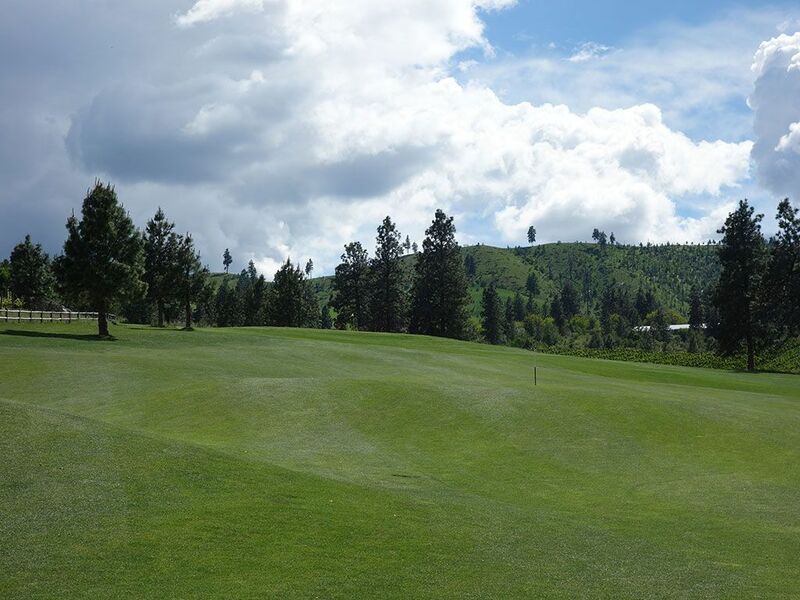 Lastly, the course is kept in good shape so you can expect good lies and greens that roll nicely; something that everyone appreciates at a golf course. 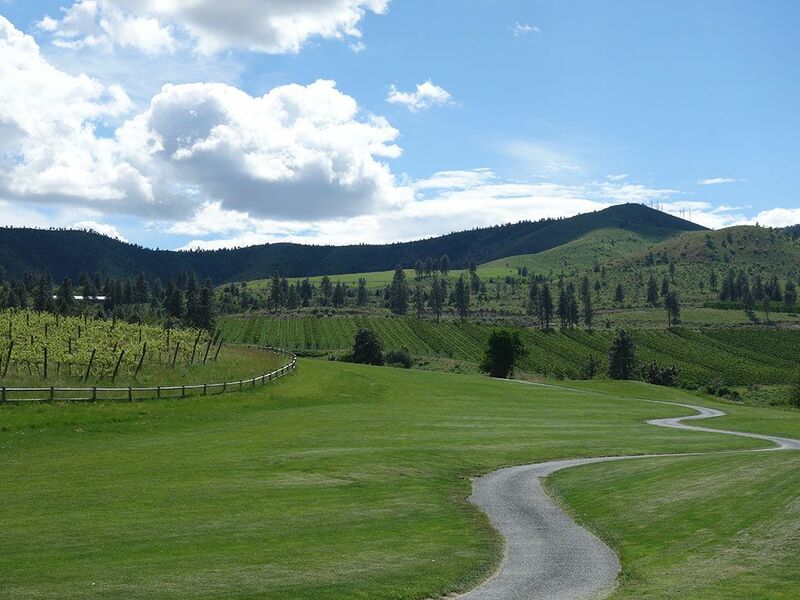 The extreme nature of the terrain at Bear Mountain results in a routing I wouldn't particularly want as my home course but is a track you'd be remiss if you didn't play anytime you were in Central Washington. Signature Hole: 3rd Hole – 204 Yard Par 3 – A legitimate argument can be made that Bear Mountain has multiple contenders as its signature hole but the one that graces the cover of the scorecard edges out the others to claim its spot here. 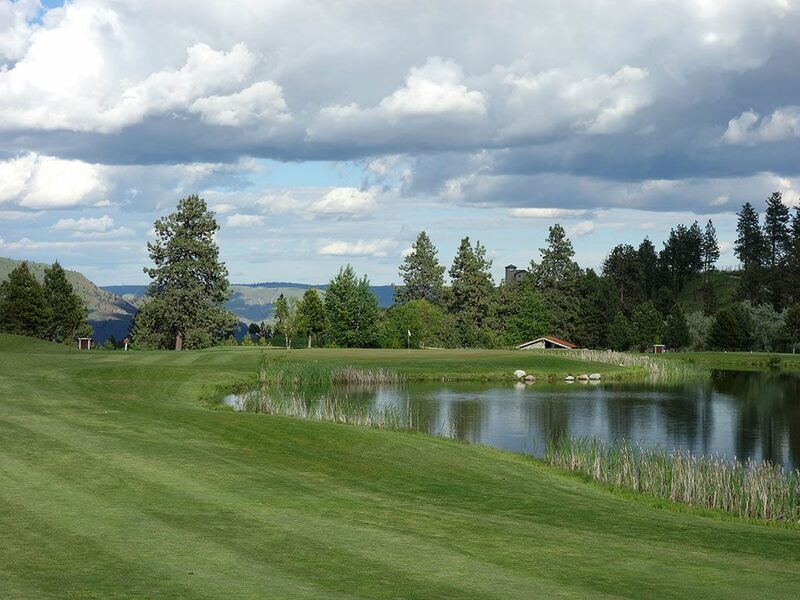 The gorgeous 4th hole boasts an eye-popping blend of fescue grass, emerald green fairway, white sand bunkering, and deep blue water all set with mountains forming the background. The opening hole gives you a glimpse of what you may be in for at Bear Mountain, but this is the hole that reels you in and gets you excited about what lies in store. This cape par three gives players the option of playing safely out to the left if they don't want to attack the green but a bunker lies in wait on that side of the putting surface. 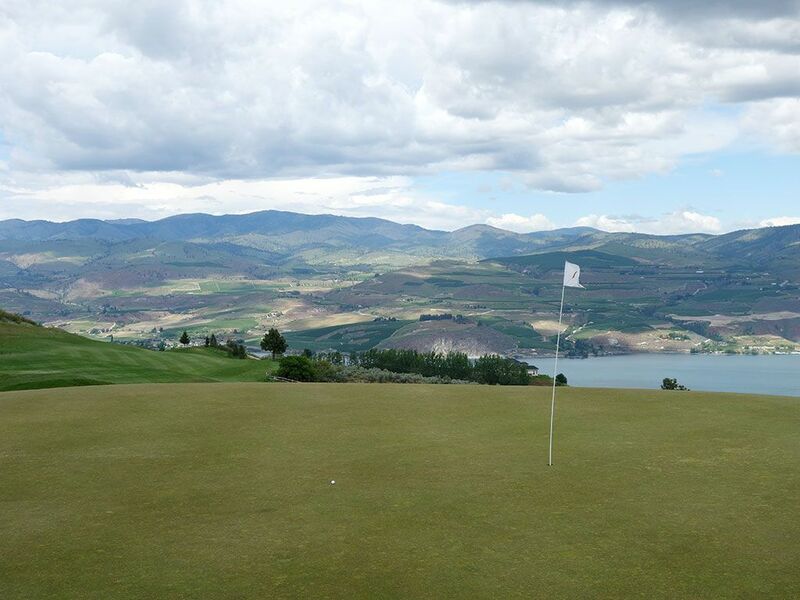 A pin on the right side of the green brings the steep hillside into play which you don't want to mess with. 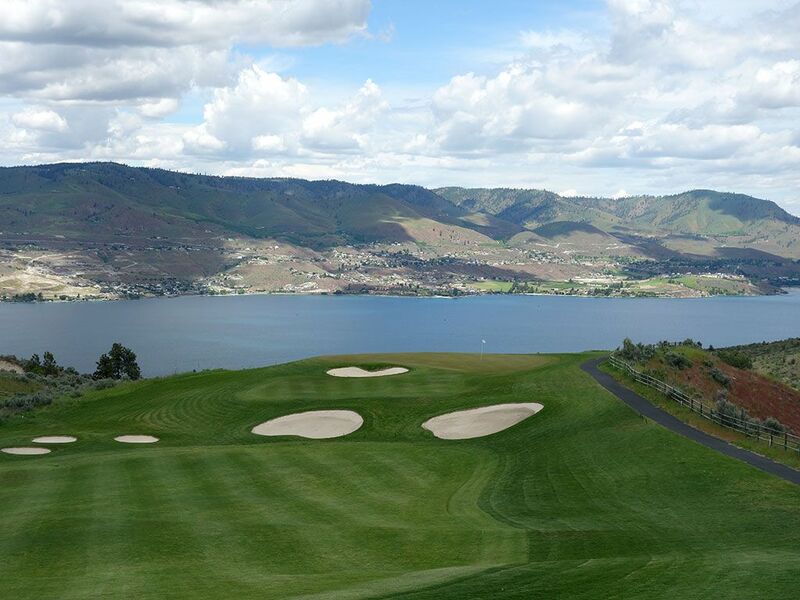 Best Par 3: 7th Hole – 233 Yards – The signature 4th is no more stunning than this beautiful one-shotter that gives a double water effect with a pond fronting the green and Lake Chelan in the background. At 233 yards it takes a good poke to reach this green that slopes off on all edges and features bunkers on either side. When you see a picture of Bear Mountain golf course, it is generally going to be of this hole or the 4th. Best Par 4: 4th Hole – 417 Yards – Another visually stunning and dramatic hole awaits at the par four 4th. 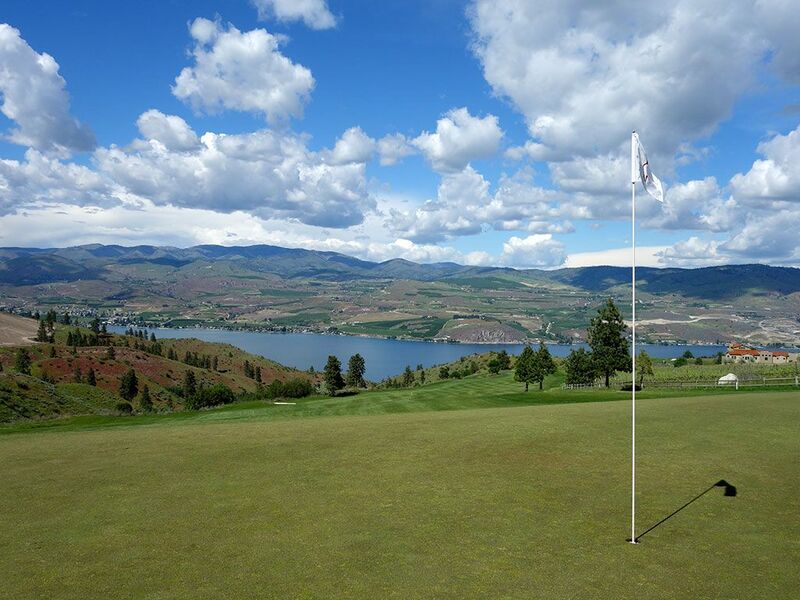 With nearly 200 feet of elevation drop enroute to the fairway, you will experience some serious hang time with your drive as it descends seemingly forever with Lake Chelan providing a picturesque background. With 60 yards of width to land in, the fairway is generous but certainly not ample as the extra hang time also allows longer for a ball to stray off course. The approach shot plays uphill over five bunkers that separate the fairway from the green and a sixth bunker resting at the front left of the putting surface. In windy conditions this hole can be an absolute hoot to play, even if you card a bogey! Best Par 5: 14th Hole – 586 Yards – The hole that I would enjoy playing over and over again at Bear Mountain is the par five 14th. A bit more traditional in its features compared to some of the other featured holes, the 14th still boasts 100' of drop from the back tee to the green. Three bunkers are found on the right side of the driving zone so staying up the left side is certainly the safe way to play this hole and sets up for the best angle to the green. The fairway bends slightly left before the green takes a quick right and forms a peninsula in the pond that begins about 150 yards from the putting surface. Going up the right side of the fairway will shorten the approach to the green but also creates a do-or-die approach shot that must reach the putting surface on the fly to avoid getting wet. The options of how to play this hole depending on how your drive goes, what the wind is doing, and how your swing feels that late in the round are all things to consider on how to attack this hole. Birdie Time: 2nd Hole – 336 Yard Par 4 – The shortest par four on the course also shockingly has the least amount of trouble to contend with. Downwind this 336 yard hole can be driven, but even if you aren't going for the green there are no bunkers or hazards to worry about on your drive so feel free to grip it and rip it. The only sand on the hole is found behind the green and shouldn't come into play considering a modified wedge shot will likely be what you are playing into the putting surface. At a course that features plenty of tough holes, you better take advantage of this early gift. 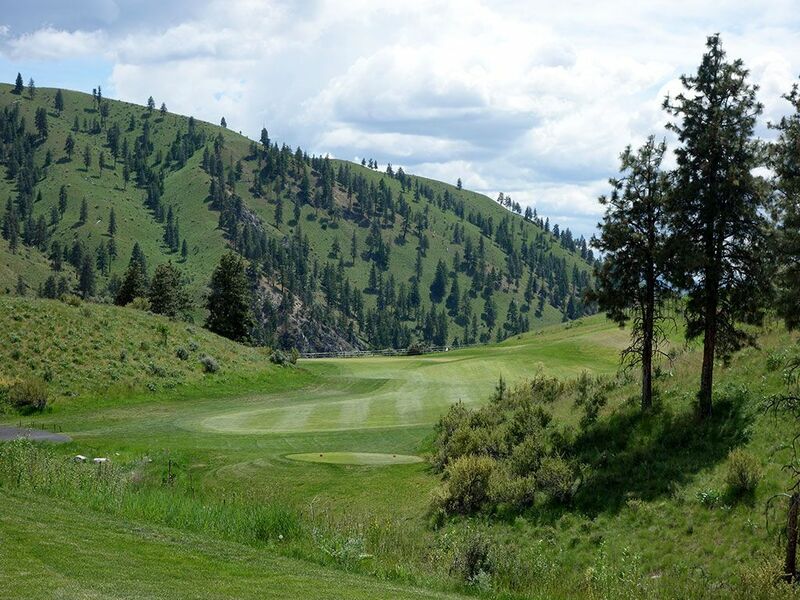 Bogey Beware: 8th Hole – 551 Yard Par 5 – 551 yards for a par five isn't terribly daunting to take on, but when there is 150 feet of climb from tee to green things get tough quick. There aren't any fairway bunkers that come in play so there is safety off the tee, but it is after the drive that the fairway starts ascending much more quickly. In the final 200 yards there is 100 feet of climb which will add 2-3 clubs to your approach shot and can be really difficult to accurately judge. Once you make it to the green you'll find a sloping putting surface that tilts left to right and can suddenly turn into a 3-putt if you misjudge the speed. After seven fun downhill holes, the 8th is a serious reality check and a very difficult par.